Landlord-tenant lawyer Greg Brod is often asked whether an individual tenant’s case can really be big enough to justify a lawsuit. Often the answer is “Yes.” Recognizing the potential for power imbalances and the critical importance of a safe home, rental contracts and state/local laws often provide extra legal protection for tenants, even allowing triple damages in some cases. Our team is proud to advocate for individual tenants, a practice that includes helping renters who’ve faced a major bedbug problem. In some cases, however, our San Francisco bedbug lawyer finds that the best way to fight back against an individual landlord or rental company that neglected its responsibilities is for tenants to work together through a bedbug class action. We previously reported on a $2.45 million settlement in an Iowa class action involving the bedbug infestation at two apartment buildings in Des Moines. In October, another bed bug class action case was filed in Iowa’s capital, this time involving the city’s largest public housing complex. The Des Moines Register reports that the lawsuit alleges the public housing agency failed to properly address a major bedbug infestation creating unconscionable, substandard conditions at the Royal View Manor apartment tower. In addition to asking for monetary compensation, the suit also asks the Agency to immediately eliminate the bedbug problem. Royal View includes 200 units reserved for disabled and low-income renters. A total of 55 current and former residents of the building are listed as class representatives for a group that could include hundreds of residents, many of whom faced painful/itchy sores, persistent sleep loss, and property damage. The complaint alleges that the bedbug problem dates back to 2007, an allegation supported by numerous reports to the Des Moines Municipal Housing Agency. Although exterminators have visited the building, residents say they continue to find new and on-going infestations. Some tenants also claim they were not notified of the infestation when they moved into the building. A class action is a procedural device that permits one or more plaintiffs to file and prosecute a lawsuit on behalf of a larger group, or “class”. Put simply, the device allows courts to manage lawsuits that would otherwise be unmanageable if each class member (individuals who have suffered the same wrong at the hands of the defendant) were required to be joined in the lawsuit as a named plaintiff. 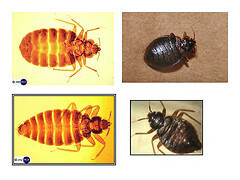 Our firm represents the victims of bedbugs in Northern California. We have represented families who were impacted physically and emotionally by a bedbug infestation caused by a landlord’s neglect of his duties. Despite being a small firm (a size that confers huge advantages, pun intended), we are also equipped to handle class actions and have the knowledge and experience crucial to success. Call to schedule a no-cost consultation with our bed bug law firm in San Francisco, Santa Rosa, or Oakland to discuss your case and the tools we can use to protect you and your family. In addition to serving all of Northern California, we represent bed bug victims in Central California and Southern California, including tenants in Los Angeles and Santa Monica. Attorney Brod also welcomes the opportunity to speak to tenant’s associations and other tenants’ groups about bed bugs. Note: In addition to these former posts, a post to come in February will provide a “refresher” on bedbugs, looking at the pests, the damage they can do, and discussing methods of preventing/controlling outbreaks.